Welcome to an amazing new year! Like most of us, you probably made official resolutions or are at least thinking about goals you’d like to achieve this year. Maybe you want to make more money – to pay down debt, take your family on a special trip, pay for a new car or the kids’ tuition, or just supplement your income and relax about the budget a bit. Perhaps you want to try something new and enhance your skills, or simply get out and meet more people. Maybe you feel “lost” in your current career and want a chance to take your life back. Finding the right side gig could be your answer. The term gig economy refers to the fact that millions of people now supplement their incomes, or even earn their living, working a side gig. And, the numbers just keep growing – it’s estimated that up to 50% of the American workforce will work a side gig by 2020. People are realizing the power to enhance their income, become their own boss, and even build their dream life on their schedule is now in their own hands. 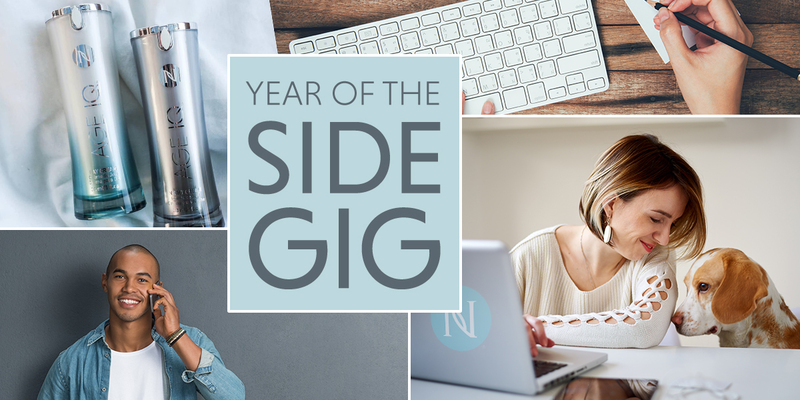 ARE YOU READY FOR A SIDE GIG? Can I get started with only a small investment? Does the company have a proven system? Does the company offer valuable training and a strong support system? Do I believe in the product or service being offered? Do people want the product or service being offered? Does the opportunity fit well into my lifestyle and schedule? Do I have the right personality to succeed? Do I respect the company’s culture and values? Let’s take the above questions one by one. Yes. We have options that range from $49- $999.95 to become an Independent Brand Partner and get your business started representing the leader in anti-aging skincare and wellness solutions. Plus, we offer ways for our Brand Partners to earn free product credits, AND you don’t have to buy inventory to sell. Simply share your personalized website, and when a customer orders, we ship it directly to the customer for you! Neora has experienced record-breaking success, and was even named to INC 500’s Fastest Growing Companies in America! Our leadership is made up of industry pioneers and icons. Our pathway and guidance to creating a successful business has never been stronger than it is today. Neora’s premium products are created by top researchers, scientists and universities. We use tried-and-true, quality, proven ingredients as well as proprietary and patented ingredients that you can find only at Neora – all the best of science and nature. The proof our products work is in the Real Results our satisfied customers experience. And, every product comes with a 30-Day Money-Back Guarantee. The anti-aging segment is a multi-trillion-dollar market, and it continues to grow. 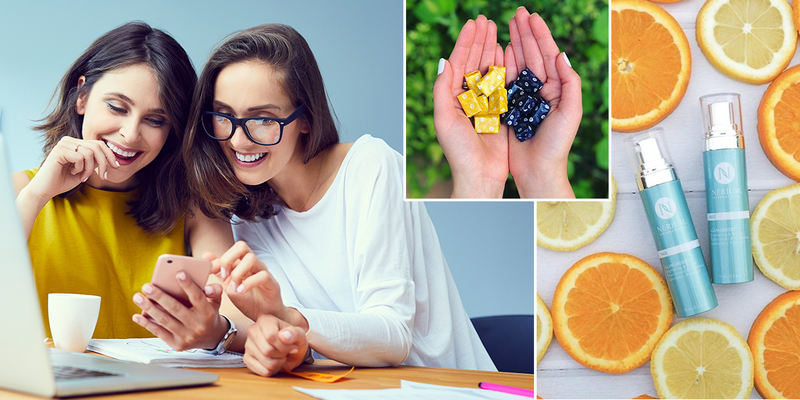 In addition to the aging population wanting to look and feel younger, millennials are using anti-aging skincare and wellness products at an earlier age. Does the opportunity fit will into my lifestyle and schedule? Neora offers an extremely flexible opportunity that can fit easily into even the busiest lifestyle. In fact, we find the busiest people often excel at side gigs, as they are around lots of people and are used to getting things done and making things happen. We find every personality can succeed at Neora. Whether you’re outgoing or an introvert, you have qualities that will benefit you in your side gig. For example, you may be quiet and an excellent listener who is great at “hearing” people’s needs. You absolutely do not have to be a “sales” person. At Neora, we feel strongly about our core values. One of the most important is that we believe in servant leadership and giving back to our communities. We are one of the largest corporate sponsors of Big Brothers Big Sisters, and we support communities and people worldwide through World Vision. If you enjoy helping people look, feel and live better, Neora is the home for you. We were founded on the vision of “Making People Better.” We’re passionate about delivering powerful products that truly work. And, we put our heart into helping our Brand Partners succeed and create their dream lives. We’re so excited to be in the perfect place at the perfect time when it comes to the growth and opportunity the gig economy offers. There has truly never been a better time to become part of the Neora family. The time is now. Believe in yourself – we do!